It's not clean until we do it! 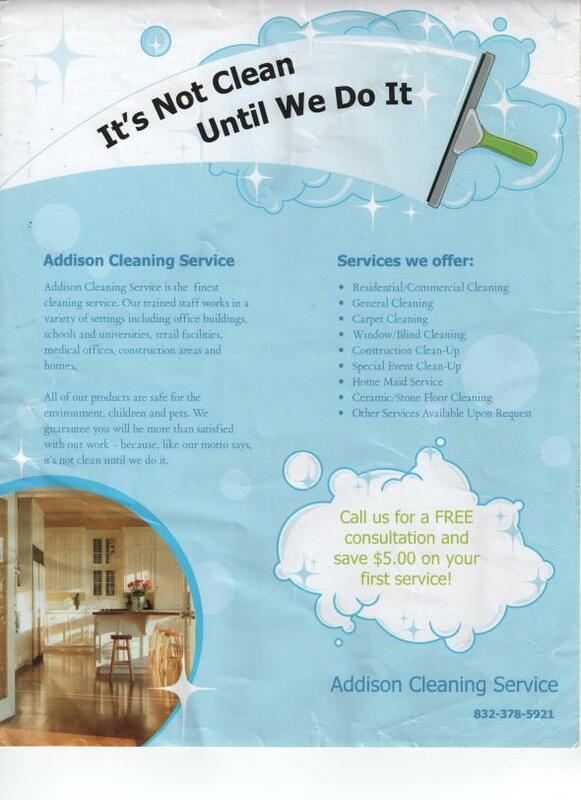 Addison Cleaning Service gets it done right the first time! With over 15 years of experience were hard workers, reliable, very fast and won't leave until the job is done right! We work on a flat rate not hourly and we have fair and reasonable pricing. No contract necessary! Our services are offered Monday thru Saturday and Sunday by appointment only! 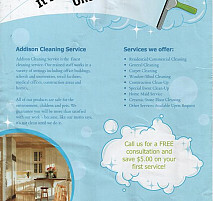 We also offer same day and emergency service. Our services include housekeeping by request at an hourly rate which include taking kids to school, running Aaron's and cleaning etc! Organization, dusting, windows, Move in and out cleaning,sweeping, moping,and construction clean up are just a few of the services we offer! If you're looking for a someone to get the job done with quality, skill and great customer service, call us! 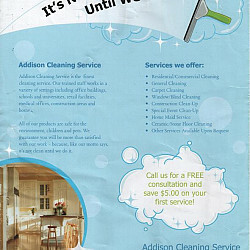 The work we do today is our reputation tomorrow, we care about your satisfaction with our services. Thanks for your interest call today! Comments: They do a great job, always been on time and A #1 group of great gals.